ALUMINUM 4 White LED Flashlight 4LED Super Bright Light!! This is a brand new space-edge solid state SUPER BRIGHT 4-LED flashlight. This shock proof & water resistant flashlight is perfect for both indoor use and outdoor activities. Instead of the full size half pound flashlight, now you can have the same bright light at 1/4 of the weight. This item just came out from our first production. We only have limited quantity on hand, so please act quickly!! 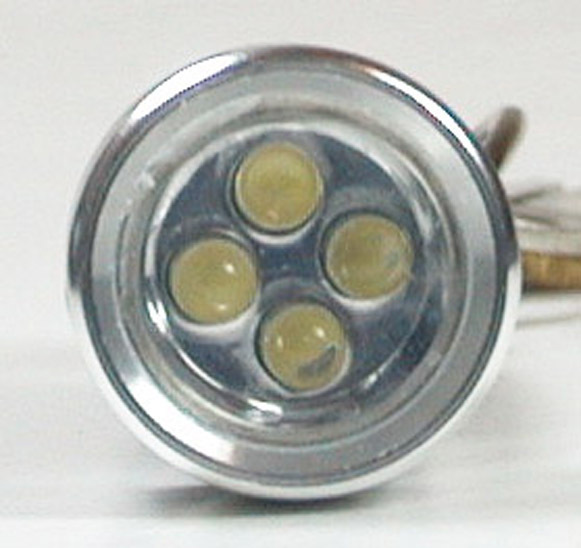 Quality SUPER BRIGHT non-breakable white LEDs last up to 100,000 hours. 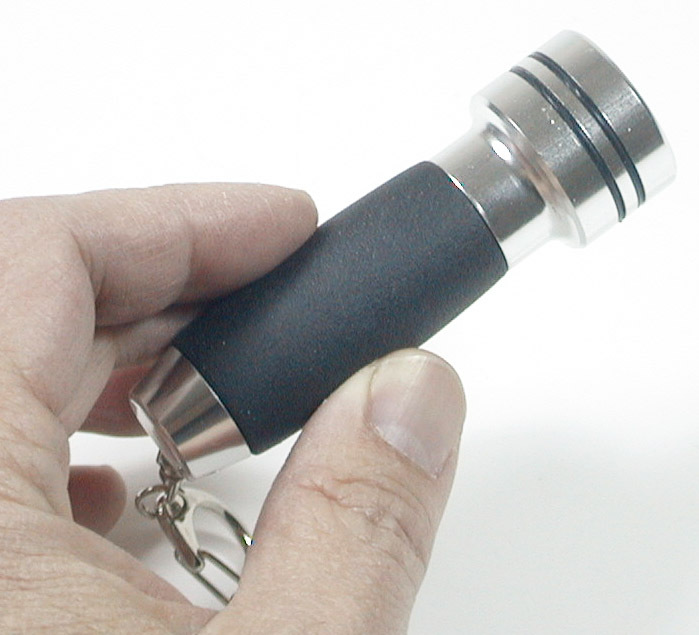 Energy saving components extend the battery life to 6 times longer than a regular flashlight. A set of new batteries would last over 1 hour of non-stop operations. High impact aluminum alloy construction provides long lasting life. Lens made of high tension, shatterproof and scratch resistant polycarbonate material. 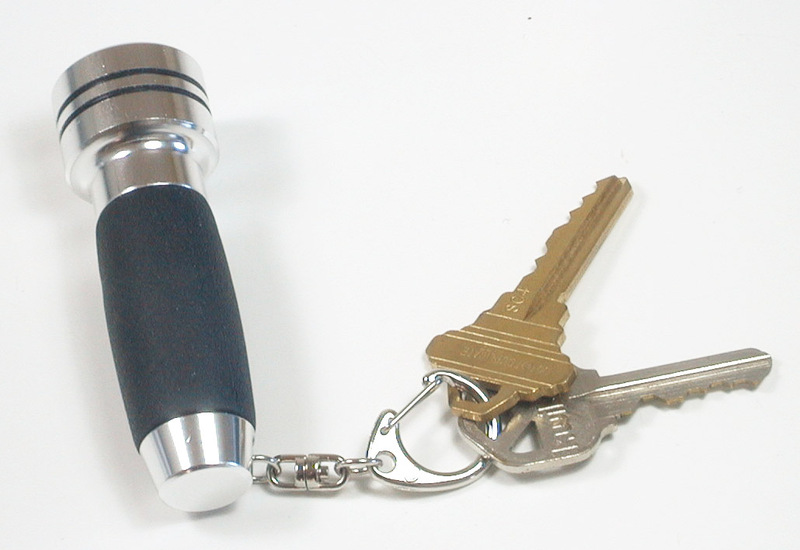 Shockproof design extends the life of the flashlight even under heavy use. 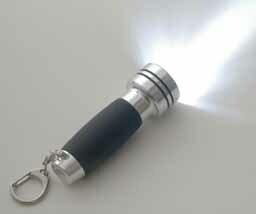 4 times brighter than the regular key chain LED flashlight. Dimension: 3.1" (length) x 1.0" (Diameter). 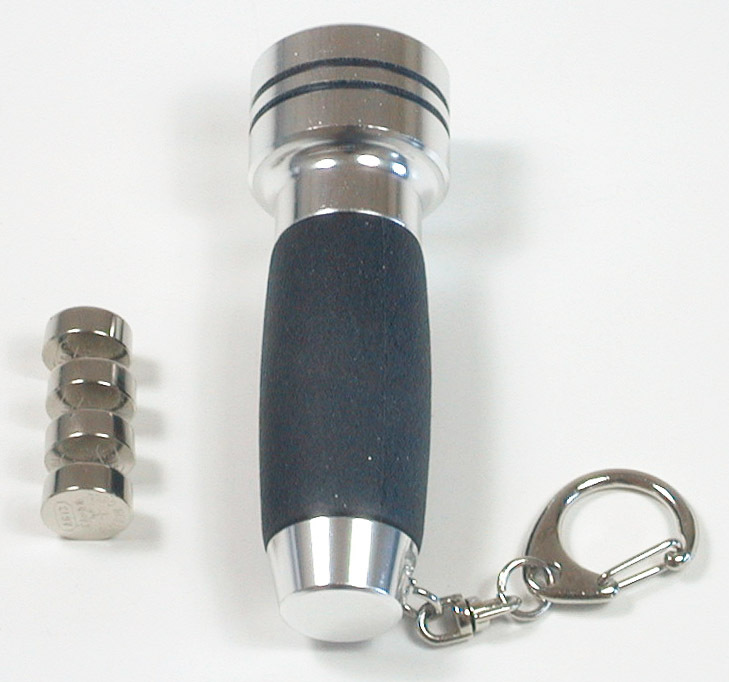 Weight: 1.9 oz. (with battery). Number of LEDs: 4 (Super bright - white). Battery: AG13 (LR44) x 3 (INCLUDED).